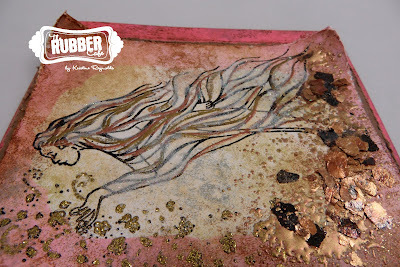 For today's post I thought I would scoot-ch out of my comfort zone a little bit with some fantasy stamps. I am a girl who loves to color and most of my cards are filled with bright pretty images. Today's card has more of a grungy, shabby feeling to it. I stamped Spring Fairy on a white panel of Pugnacious Paper. Then I sponged on Vintage Paper, Worn Lipstick, and Antique Linen Distress ink onto to paper. 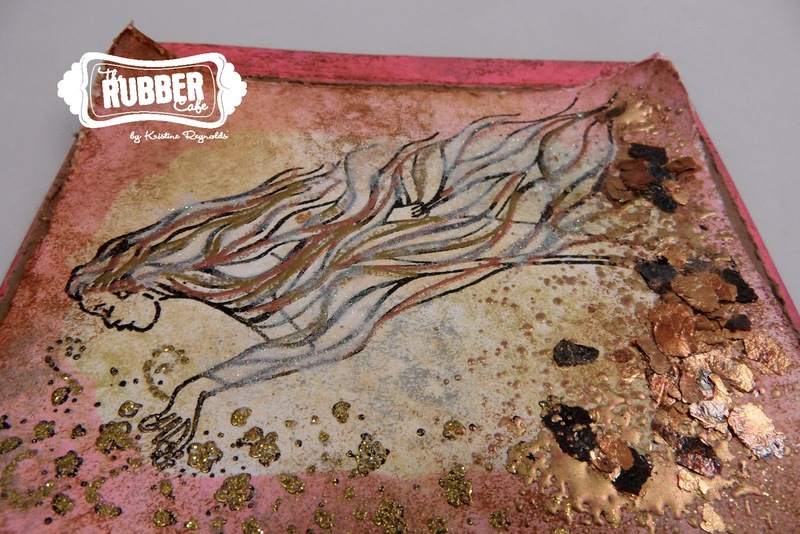 I traced some of the fairy's hair with my VersaMark pen and embossed with aged copper embossing powder. Then I applied Scrap Happy glue to some of her hair and let it set up a little before covering the image with You're so fine Diamond Clear Cool Glitter and rubbed it in. Then I shook the excess glitter back into the jar. 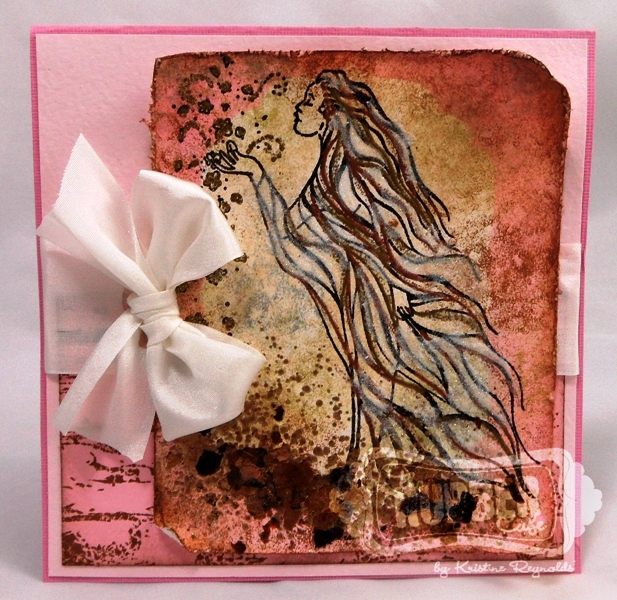 I added some of the aged copper embossing powder to the flowers and the bottom part of the image panel. Finally...I added some Bronzed Mica Fragments too! 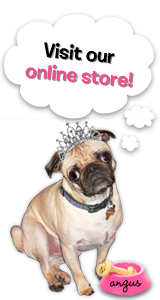 There are a bunch of awesome fairy/fantasy images in the store. I'll be showing you more next week too! This is so pretty! 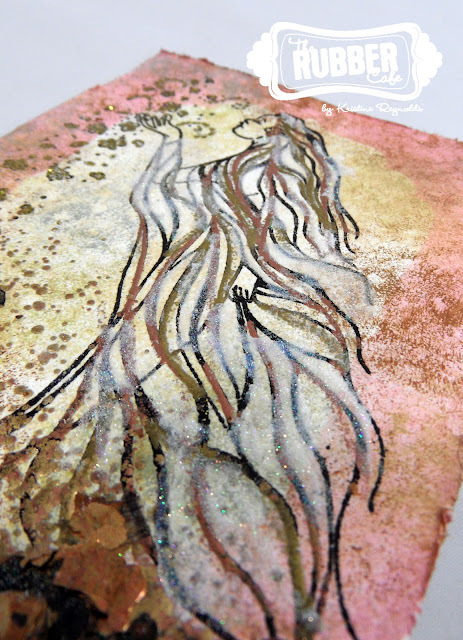 Love all the glitter, embossing powder and mica flakes....just lovely! Great job breaking out of your comfort zone Kristine! :) You really rocked the glitter and gold mica!